GREAT NECK, Long Island (WABC) -- Police on Long Island have arrested a suspect after a man was robbed and attacked with a belt buckle. Rony Fernando Inestroza, 26, of Great Neck, is charged with robbery, and also with menacing for an unrelated incident in January in Great Neck. 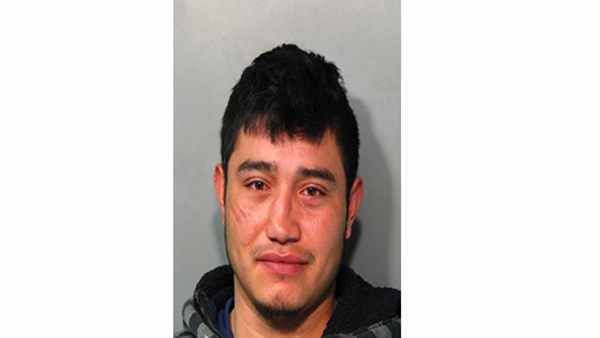 According to the Nassau Police Department, on Friday at 8:15 p.m. on Middle Neck Road, Inestroza approached a man and punched him in the stomach. Inestroza then removed his belt and struck the victim in the head with the buckle, police said. The victim fell down and his cell phone fell out of his pocket. Inestroza grabbed the phone and ran off, police said. The victim's head was cut, but her refused medical attention. He told police he knew Inestroza from the area and where he lived. Police found the suspect at home and arrested him. Inestroza was expected to be arraigned in Hempstead Saturday.